After over 50 years on the air, it seems like the team at Jeopardy! would be on top of things, but even a beloved institution of television sometimes makes mistakes: Jeopardy! 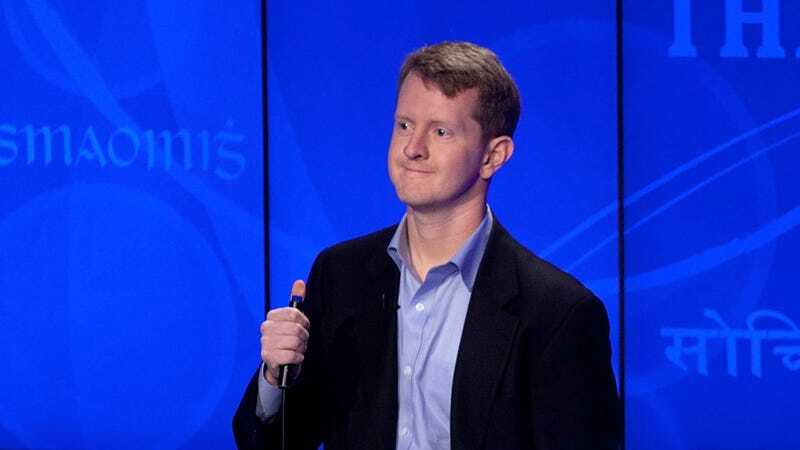 has announced that it is reclaiming thousands of dollars from former champion Ken Jennings after rewatching the tapes and realizing he didn’t get a single question right during his time on the show. Wow. This is an extremely embarrassing misstep. Producers say the trouble began earlier this week, when they began reviewing footage of Ken Jennings’ record-setting Jeopardy! run and noticed that he racked up $2,000 for buzzing in with the word “Miranda” in a category titled “Starts with ‘E.’” Following this shocking discovery, officials continued to look back at Jennings’ $2.5 million winning streak and noticed that in 74 games of Jeopardy!, Jennings did not answer a single question correctly or even come remotely close to doing so—despite always being named the winner at the end of every episode. Upon closer inspection, the producers discovered that Jennings answered every Final Jeopardy question with either the phrase “Día De Los Muertos” written in bubble letters or the phrase “lumber and grain” with an exclamation point, neither of which were ever the correct answer. As a result, Jennings has been asked to return all of his winnings at his earliest convenience. So embarrassing. Jeopardy! producers are currently in the process of retrieving the millions of dollars of winnings from Jennings and have asked if he would like to return to the show for the chance to get even one single question right. Hopefully both parties can get things straightened out soon!